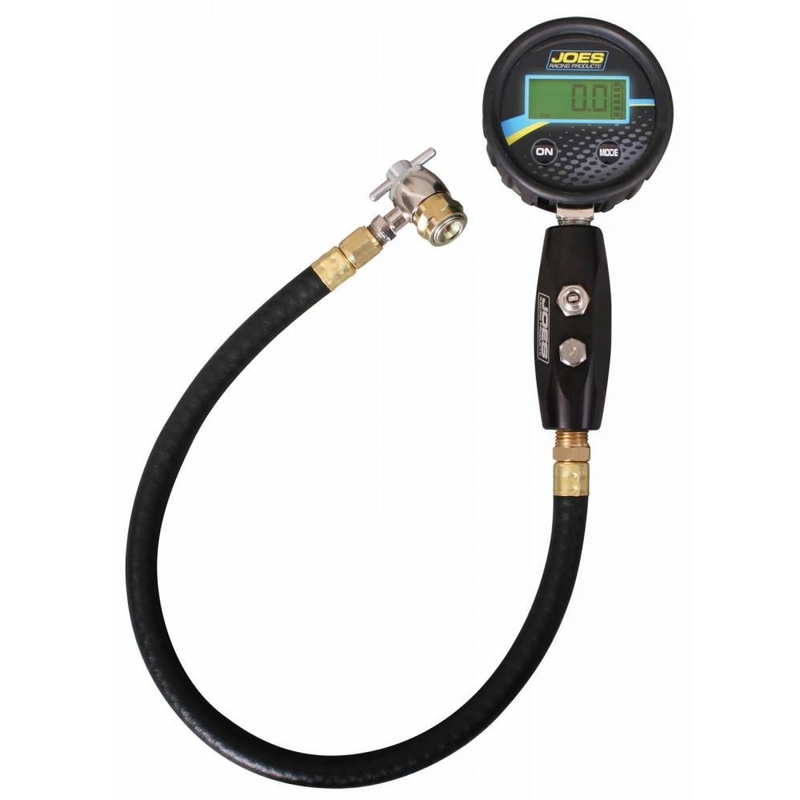 JOES Shock Inflator System allows you to adjust gas pressure in your shocks up to 200 PSI. A bleed valve quickly drops pressure so you can meter the pressure to match your desired results. Swivel fittings make it easy to connect the long hose while the shocks are on or off the car. Digital accuracy provides .1 resolution that cheap versions are unable to match.